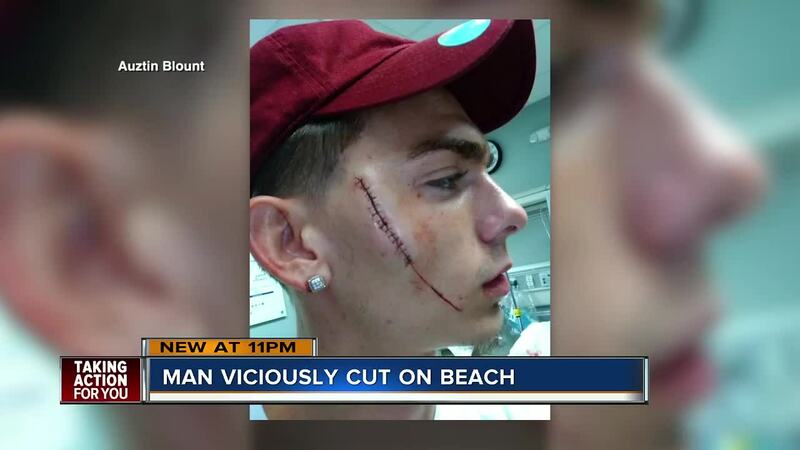 Clearwater Beach, one of the most popular tourist beaches in Florida, was the scene of a vicious attack on Sunday night. Police said a local man was stabbed and slashed with a box cutter in front of children on the boardwalk. Blount said he was enjoying a nice evening out with his girlfriend and another friend Sunday night. He was sitting on the seawall just down from Pier 60 when he said a woman, who Clearwater police later identified as Kristi Kauffmann, approached him.